You're a great guy. You treat women with the utmost respect, you're polite, dependable and an all around good guy. You've probably asked yourself on more than one occasion, why women love bad guys? How do guys like Tommy Lee get hot women, while you struggle to keep any woman? How does the scruffy bad boy biker living next door find lots of women and have little difficulty keeping them? It's simple, really. Women love bad guys, because they're exciting. Bad guys are unpredictable, out of the norm and different. The very elements that make them bad guys are what draw women to them. Isn't that ironic? No wonder people say love makes no sense. The good guys on the other hand, maybe dependable, but they also tend to be boring. They wake up every morning at the same time, go to work, come home at the same time, eat dinner, watch TV and go to bed. 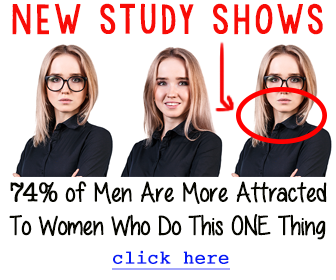 They provide a good life for their family, are ideal for raising a family, but women get bored and start to search for something a little more exciting. However, there are a few ways you can prevent this from happening. If your woman loves bad boys, you have to learn to be both a good guy and bad. Sounds impossible, right? It's not. The most successfully married men have learned this lesson a long time ago. Even if you're comfortably ensconced in a relationship, you need to continue to excite your partner. It may seem irrelevant to date your partner at this point, but it may be the difference between a long happy marriage and a messy divorce. Excite her, you can give her the same things she is looking for in a bad boy, but combined with the qualities of a good boy. Be dangerous. Take her out parachuting, mountain climbing, bar hopping and show her your wild side now and again. Make love to her on a public beach or trail. Get crazy on the dance floor or do something goofy to make her laugh in public. Show her that you have a bad boy side! You may be wrapped in a good boy package, but everyone has a bad boy in them, even if it is buried down deep in some people. Now that you know why women love bad guys, you're armed ready to fight back.